HP Pavilion g6z Series comes with a 15.6-inch HP LED Brightview display with a resolution of 1366 x 768 and AMD Radeon discrete-class graphics. This laptop has a choice of AMD A4-3300M, A6-3400M, or A8-3500M accelerated processor. It has two memory slots which upgradeable up to 8GB, Altec Lansing speakers with SRS audio, three USB 2.0 ports, headphone out, VGA port, microphone in, HDMI port, 6-cell Lithium-Ion battery, HP webcam, and multi-format digital media card reader. Gateway ID57H03u features 15.6-inch WXGA display with UltraBright screen technology, Intel graphics (shared memory), Intel i5-2430M dual-core processor, Intel HM65 Express chipset, 4 GB DDR3 SDRAM, and 500 GB Serial ATA 5400 rpm storage. This laptop is equipped with six-cell 6000 mAh Li Ion battery, three USB 2.0 ports, one USB 3.0 port, VGA port, camera, card reader (MS/MS PRO/MMC/xD/SD), Bluetooth 2.1, and IEEE 802.11 a/g/n WLAN. 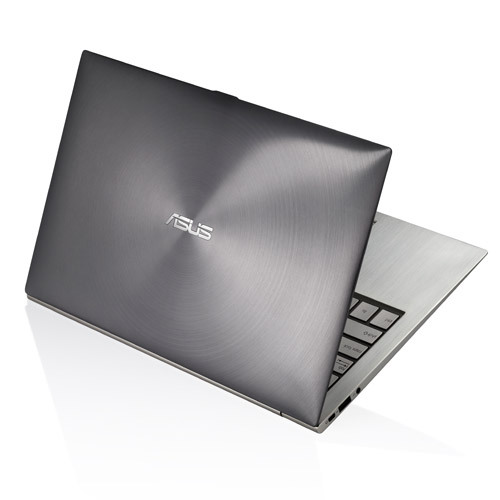 Asus ZENBOOK UX21E comes with spun metal and hairline aluminum for incredible beauty. 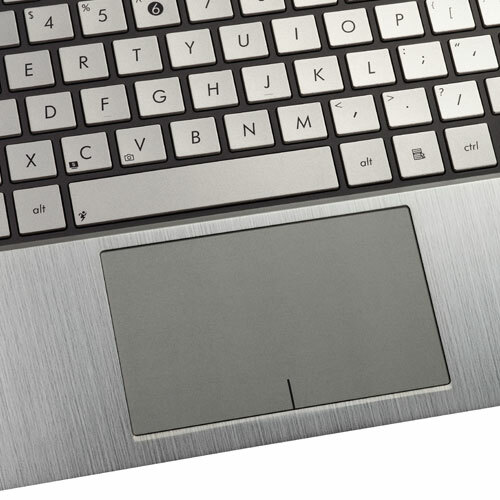 This laptop is only 3mm thickness at the front and 9mm at the rear. The weight is only 1.1 kg. Asus ZENBOOK UX21E has a choice of Intel Core i7 2677M, i5 2467M, or i3 2367M processor. It's equipped with 11.6-inch HD display, Intel QS67 express chipset, DDR3 1333 MHz SDRAM, SSD, one USB 2.0 port, one USB 3.0 port, micro HDMI, mini VGA, headphone-out jack, 802.11 b/g/n WLAN, Bluetooth 4.0, and 35 Whrs polymer battery. 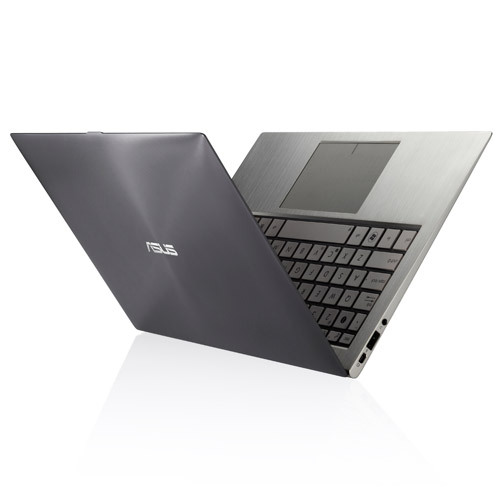 With ASUS Super Hybrid Engine II technology, this laptop can resume in 2 second and standby up to 2 weeks. HP 2000t series laptop computer features 15.6-inch LED HP Brightview display with a resolution of 1366 x 768, Intel HD graphics 3000, Altec Lansing speakers, three USB ports, VGA, RJ-45, Multi-Format Digital Media Card Reader, HP webcam, and 6 cell Lithium Ion battery with up to 7.25 hours of battery life. 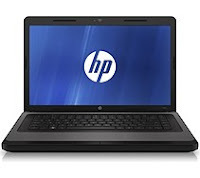 HP 2000t series has a choice of Intel Pentium B950, Pentium B960, Core i3-2330M, or Core i5-2430M processor. For data storage, this laptop offers up to 640 GB 5400 rpm hard disk drive. Acer Aspire 7250 (AS7250-0409) has a 17.3-inch WSXGA CineCrystal display with LED backlight technology, ATI Radeon HD 6320 Graphics, AMD A50M chipset, 4 GB DDR3 SDRAM, 320 GB Serial ATA 5400 rpm HDD, and optical drive. 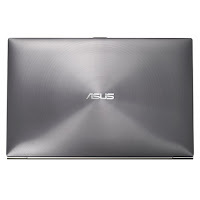 This laptop is powered by 1.65 GHz AMD Fusion E-450 dual-core processor. Other specs include MMC/SD card reader, camera, HDMI, VGA, three USB 2.0 ports, six-cell Lithium-Ion 4400 mAh battery, Kensington lock slot, fast ethernet LAN, and 802.11b/g/n wireless LAN. 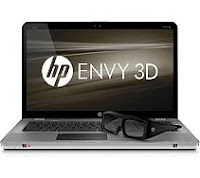 HP ENVY 17-2290NR laptop comes with 17.3-inch full high definition HP 3D Ultra BrightView Infinity LED display, Radeon HD 6850M Graphics with 1024 MB GDDR5 and up to 4083 MB graphics memory, Intel Core i7-2670QM quad-core processor, 8GB DDR3 system memory, and 1.5 TB dual hard drive. HP ENVY 17-2290NR is equipped with 6-Cell 62WHr Lithium-Ion + 9-Cell 93WHr Lithium-Ion battery, card reader, HP TrueVision HD webcam, HP Triple Bass Reflex Subwoofer, Beats Audio, 802.11a/g/n WLAN, Bluetooth, integrated 10/100/1000 Gigabit Ethernet LAN, one SuperSpeed USB 3.0, mini-display port, three USB 2.0 ports (3rd port shared with eSATA), VGA (15-pin), headphone-out/microphone-in combo, and HDMI port. HP 2000-350us laptop computer is powered by Intel Pentium B950 dual-core processor, 4 GB DDR3 RAM, and 500 GB 5400 rpm hard disk. It has a 15.6-inch HP BrightView LED display with 1366 by 768 resolution and Intel HD Graphics 3000 with up to 1696 MB graphics memory. Other specs include SuperMulti DVD Burner, 802.11b/g/n WLAN, Bluetooth, integrated 10 / 100 base-T ethernet LAN, Altec Lansing speakers, card reader which supports SD&MMC, HP webcam, three USB 2.0 ports, VGA (15-pin), headphone-out, microphone-in, and 6-cell 47WHr Li-Ion battery. 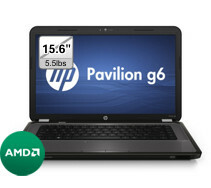 HP Pavilion g7-1200 laptop is based on Intel Core i3-2330M dual-core processor. 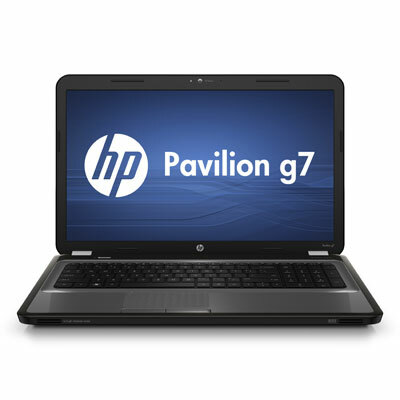 Pavilion g7-1200 has a 17.3-inch HD+ BrightView LED display, 4 GB DDR3 (upgradeable up to 8 GB), 640 GB 5400 rpm SATA HDD, and Intel HD 3000 (up to 1.65 GB). 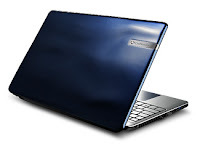 This laptop comes with six-cell 47 WHr Lithium-Ion battery, 802.11 b/g/n wireless LAN, SuperMulti DVD Burner, integrated 10/100 BASE-T Ethernet LAN, HP webcam, integrated digital microphone, and digital media card reader. Samsung Series 6 NP600B4B-A01US is equipped with Intel Core i5-2520M dual-core processor (2.5 GHz with Turbo Boost up to 3.2 GHz, 3 MB L3 cache), 14.0-inch HD display with Intel HD graphics, 320 GB storage, and 4GB memory. 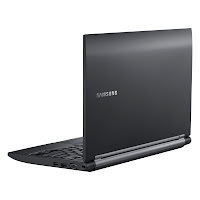 This Samsung laptop features 4-in-1 multi card slot, one e-SATA port, HDMI input, two USB 2.0 ports, two USB 3.0 ports, VGA, Dock Station Connector, microphone in, headphone out, RJ45 (LAN), 6-Cell Lithium Ion battery, and spill resistant keyboard. Samsung Series 2 NP200B5A-A01US laptop features 15.6-inch LED display with HD resolution and 300 nits brightness. Series 2 NP200B5A-A01US notebook comes with Intel HD graphic, Intel Celeron Processor P4600 dual-core processor, 2 GB DDR3 system memory, and 320 GB hard disk drive. The communication features are 802.11 b/g/n Wireless LAN and Bluetooth V3.0 high speed. It's equipped with 3 W Stereo Speaker, 4-in-1 card reader (SD/SDHC/SDXC/MMC), 101-key keyboard, 1.3 megapixel integrated camera, 6-cell Lithium Ion battery, RJ45 (LAN), HDMI port, four USB 2.0 ports (one with Sleep-n-Charge), VGA, headphone out, mic in, and an optical drive. Height : 1.13” - 1.39"
Samsung Series 4 NP400B2B-A01US laptop comes with a 12.5-inch display with a resolution of 1366 x 768, Intel HD graphics, 4 GB memory which upgradeable up to 8 GB, and 320 GB 7200 rpm hard disk drive. 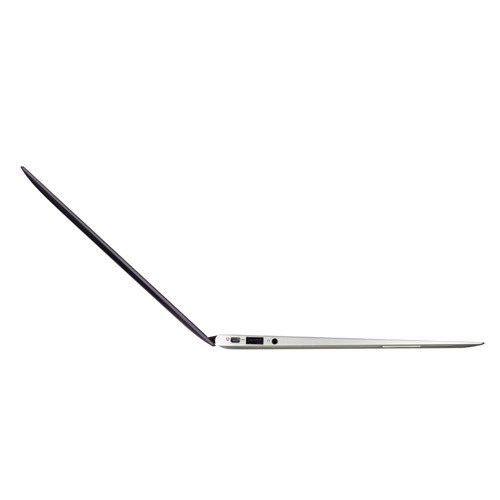 Series 4 NP400B2B-A01US notebook is based on Intel Core i5 - 2520M dual-core processor (2.5 GHz with Turbo Boost up to 3.2 GHz, 3 MB L3 cache). 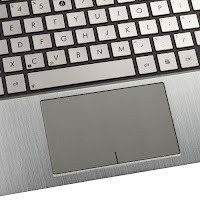 Other specs include four-in-one multi card slot, HDMI, Dock Station Connector, Microphone In, VGA, one USB 3.0 port, RJ45 (LAN), two USB 2.0 ports, e-SATA port, Headphone In, 1.3 MP HD web camera, and six-cell Li-Ion battery. The Series 4 will help keep your information safe with a biometric fingerprint reader, TPM, and pre-boot authentication. 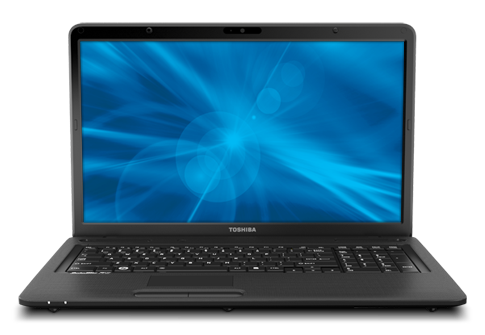 Toshiba Satellite C675-S7322 is powered by Intel Core i3-2330M processor, 4GB DDR3 1333MHz memory, and 500GB HDD (5400rpm). 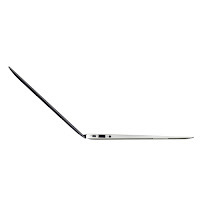 This laptop has a 17.3-inch HD+ TruBrite LED backlit display, mobile Intel HD Graphics with 64 MB-1696 MB dynamically allocated shared graphics memory, 10/100 Ethernet LAN, Wi-Fi wireless networking (802.11b/g/n), two USB 2.0 ports, 6 cell 48 Wh battery, webcam, and card reader. 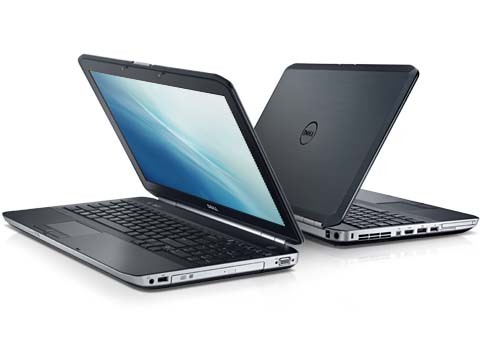 Dell Latitude E5520m notebook comes with a 15.6-inch HD anti-glare LED display, Intel Core 2 Duo T6670 or Celeron 925 processor, and mobile Intel GM45 express chipset. Latitude E5520m offers up to 4 GB DDR3 SDRAM and up to 500GB 7200 rpm or up to 250GB 5400 rpm hard drive. This laptop has high quality speakers, network connector (RJ-45), four USB 2.0 ports (one USB/eSATA combo port), stereo headphone/microphone combo jack, docking connector, HDMI, VGA, 1394, and Dell Wireless 375 Bluetooth 3.0. Acer Aspire 5349 (AS5349-2481) has 15.6-inch CineCrystal display, Intel HD graphics, Intel Celeron B800 dual-core processor (1.50 GHz, 2 MB L3), 500 GB 5400 rpm SATA hard drive, 2GB DDR3 memory, and Intel HM65 Express chipset. 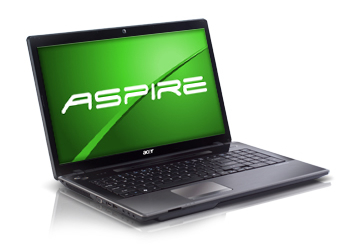 Aspire 5349 (AS5349-2481) laptop is equipped with 6-cell Li-Ion 4400 mAh battery, web camera, card reader (MMC/SD), Fast Ethernet LAN, VGA, HDMI, 802.11b/g/n WLAN, and three USB 2.0 ports.